This is the summary of consumer reviews for Poulan PRO 24 in. 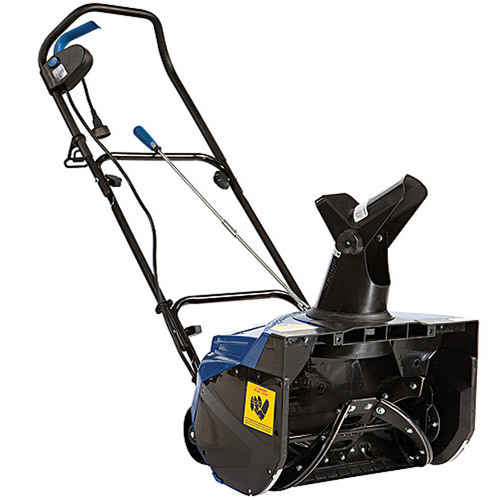 Two-Stage Electric Start Gas Snow Blower (Model: PR624ES). The BoolPool rating for this product is Very Good, with 4.30 stars, and the price range is $599.00-$890.00. I hope it'll work well for our steep uphill driveway. Nice well built snow blower. Snow Chute is all Metal. Nice big/nubby tires and very powerful engine. It's all metal including rod for Auger, speed control and chute. Seems to work great even with 2-3 inches of wet snow. It plows through 22 inch drifts well but I stop it when it seems to be bogging down and keep the impeller handle depressed so it doesn't have to work so hard. 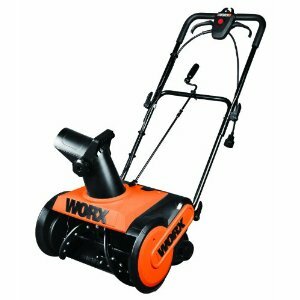 I compared similar price point models at HD & Lowes & went with this because of the metal chute and engine size. It works well, and it hasn't broken down. Started right up on the first pull. Filled it with gas, pulled the cord, started right up. Also starts right up with pull rope. The electric start works really good started right up. 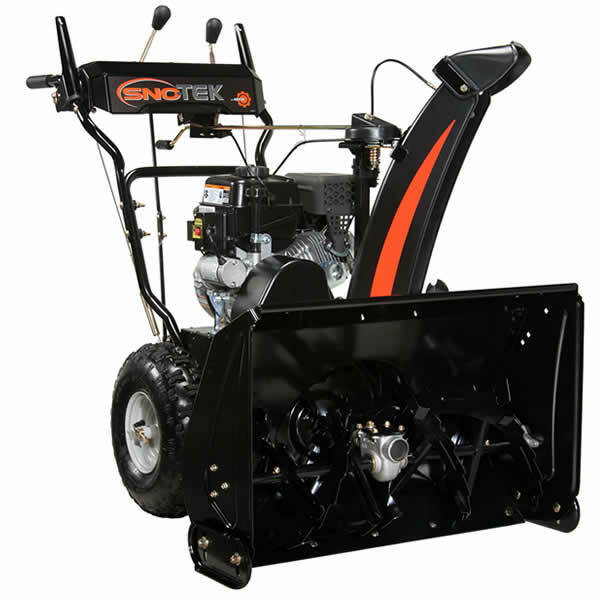 Starts right up in cold weather, works great, the controls are nice, easy to use and work as promised.I'm very happy with this snow blower. Just a great machine and hogged right thru the drifts. This's a really powerful and heavy machine. Just kept right on going! Started right up everything worked as it should have. This last storm was heavy wet snow and It cleared the driveway with ease. Instruction Manual: Easy to read and easy to follow. easy to start with rope. Assemble was a easy procedure. 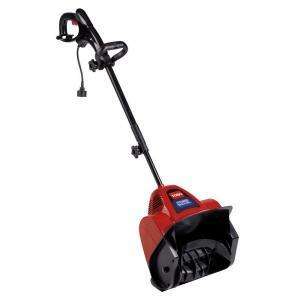 Easy to pull start and easily handled the heaviest wet snow with ease. The chute is solid and very easy to control. 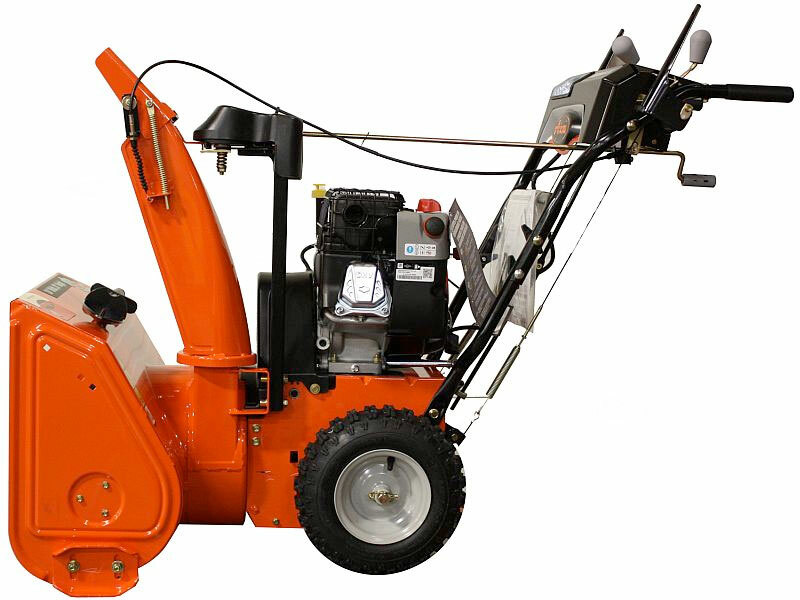 Very well buitl with easy to use controls for the forward speed, auger and especially the chute control. 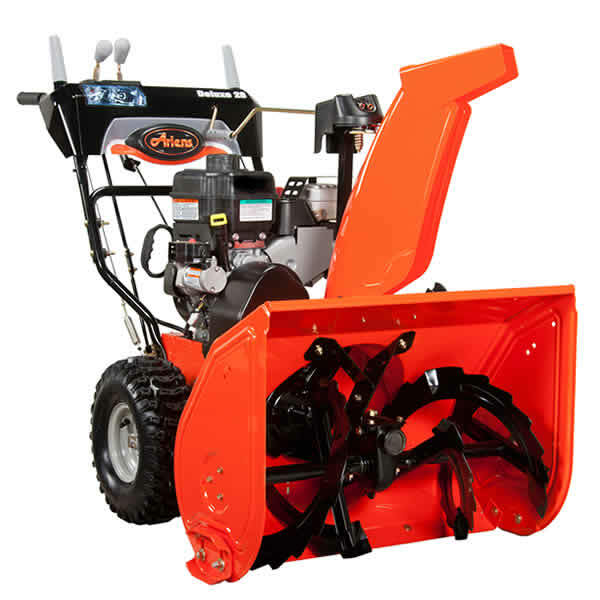 The machine does a very good job removing snow and is easy to operate. It's snowed three times since the machine arrived! 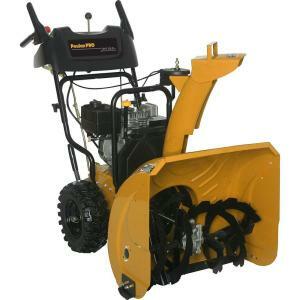 Other than that, this machine was well worth the money and is a very sturdy, well built machine. 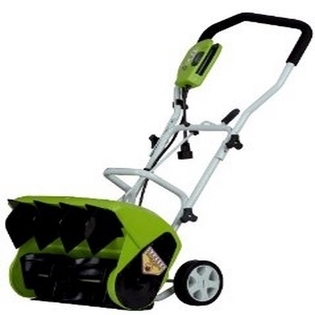 The machine pictured on Amazon and on Poulan's website shows this machine with a headlight. Very little plastic on this machine. This machine fires right up using the electric start. The machine came crated as previous reviews describe. The machine worked GREAT right out of the box. The machine is very heavy and somewhat difficult to maneuver, but it cleared my drive of the 3" of snow with large drifts in no time. I did a lot of research before purchasing this machine and used it for the first time in January 2012. 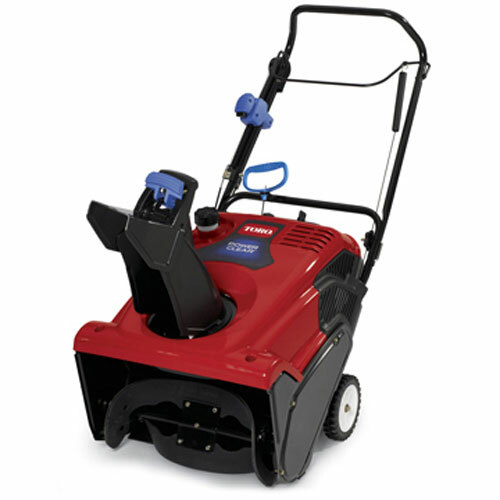 This machine has performed well during this very snowy winter.